At Crusader Removals, we know that moving houses is an extremely stressful time. We are here to help! We’ve compiled a list of a few things to remember when you’re moving into a new house. A big aspect of the move that is often forgotten is to disconnect the utilities at the old house and connect up the utilities at the new place. 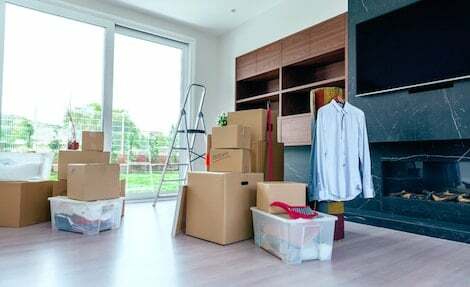 Thinking of when the move will take place, for example, if the move will happen over the weekend you may want to organise the connections beforehand (say, Thursday or Friday). Those growth marks on the door or wall are too precious to leave behind! Just because you’re moving doesn’t mean the memories can’t come with. We suggest using baking paper (or tracing paper) and rolling it up the wall – then tracing the height marks. When you get to your new house you can easily re-draw their heights! This could alternatively be done using a measuring tape, and writing down the height of each mark. Whichever you think is easiest! The major thing to remember when moving to a new house is that you aren’t alone! There are thousands of people that are moving and are stressing just as much as you are. There are many things you can do to significantly reduce this stress. Things like hiring a removal company to manage the entire move whether down the street to moving to a different state. Crusader Removals not only move the pre-packed boxes and furniture onto the truck and relocate them to your new home, we can pack up the whole house too! There are various benefits of hiring a house removals company. Take note all of your special items, like large pianos, fragile shelving or any item that holds significant meaning. Put a label on these items (like a post-it note) so that no matter who is moving the furniture (like an extended family member, or a removal company) they will know to be extra careful with them. Packing your clothes is never a fun part of moving, and is always dreaded. But it doesn’t have to be! The easiest way to move the wardrobe is to pack the clothes with the hangers on. This is a simple trick that will save you hours. Don’t forget to pack clothes for a few days depending on how long the move will be. The last thing to remember when moving into a new house is to do a final walk through of the old house to ensure nothing gets left behind. That means checking all the nooks and crannies that could contain your precious belongings, as well as ticking off that important checklist you’ve made. Contact us today to find out how Crusader Removals can help you.